Rome released their latest album The Hyperion Machine on August 12, 2016, and it featured none other than Joakim Thåström (Imperiet, Ebba Grön, Peace, Love & Pitbulls) as guest on the track “Stillwell”. Jerome has so far only performed in Scandinavia either as solo or duet. A very common question that you could hear during those concerts was: “When will Jerome come with the whole band?”. The answer is finally here: in December 2016. He will play together with his band five exclusive Scandinavian gigs (no other dates will be added). For this special tour, we have also managed to book a support act that is amazing, to say the least. 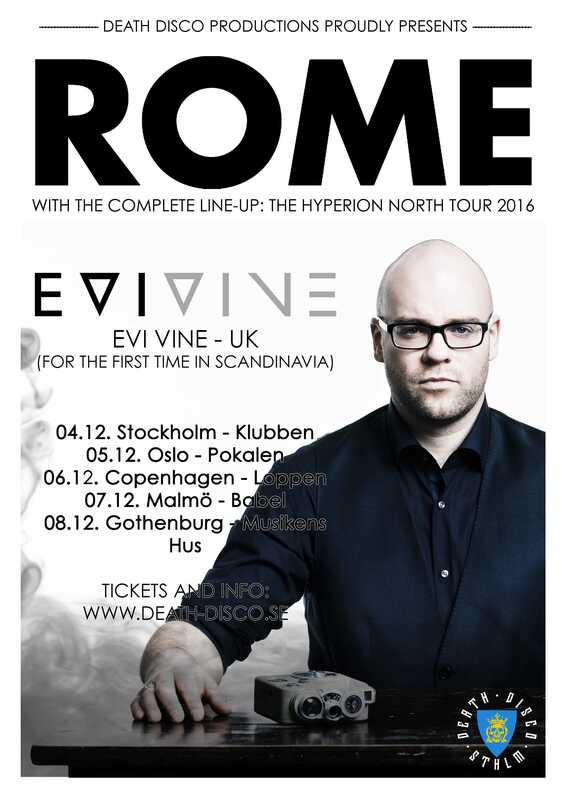 The multi talented singer Evi Vine will support Rome with her band on on all the five shows. The most common reaction of those who have not heard her music before is usually just “WOW!”.